On Feb. 15, three judges of the U.S. Court of Appeals in Washington, D.C., upheld a trial-court decision that found two journalists in contempt of court last year. With this ruling, the journalists risk going to jail if they refuse to respond to questions before a grand jury in an investigation of a leak of a covert CIA officer's identity. The questions could be related to the confidential sources of information of the journalists. News of the ruling quickly spread in the newsrooms of many media around the world. The possible incarceration of journalists because they decided to maintain the confidentiality of their sources is something that always concerns investigative journalists; however, this is a problem not only for journalists but also for society as a whole. Last year, in relation to the case of Rhode Island TV newsman Jim Taricani, which involves a similar problem, my office publicly stated that the main foundation of the right to confidentiality is that within the scope of their work, and in order to provide the public with the information needed to satisfy the right to information, journalists are performing an important public service when collecting and disseminating information that would not be divulged were the confidentiality of sources not protected. This right to confidentiality involves providing legal guarantees to sources to ensure their anonymity and to avoid possible reprisals against them for divulging certain information to the press. Confidentiality, therefore, is essential to journalists' work and to the role that society has conferred upon them to report on matters of public interest. Unfortunately, the risk of going to jail for refusing to provide the identity of sources of information is a risk that many journalists have been facing not only in the United States but also in other countries in recent years. From time to time, judges or prosecutors elsewhere make rulings similar to the Feb. 15 ruling. But those decisions do not always have the same impact on the media around the world as those made by U.S. courts. Why? The answer may lie in the American tradition of protecting freedom of expression through judicial decisions. The United States historically has taken a broad view on the right to freedom of expression, particularly during the Supreme Court's Warren era in the 1960s, when the right was given its most expansive interpretation. So any ruling by a U.S. court that could undermine that strong tradition, like the aforementioned ruling by the court of appeals, is received with alarm by scholars, journalists and others who have learned about freedom-of-speech protection through judicial decisions written by the U.S. Supreme Court. As many international human-rights bodies, such as the European Court of Human Rights and the Inter-American Commission on Human Rights, have stated, freedom of expression is understood to encompass journalists' right to keep their sources confidential. Weakening that right in any country raises concerns because of the consequences for freedom of expression. But a U.S. court decision in that direction has a particular impact on those around the world who have seen the decisions in this country as important precedents that should be followed by other countries. For this reason, for the impact here and abroad, it is worth continuing to look closely at these issues with the hope that the United States will not abandon its historical practice of protecting wide-ranging freedom of expression. 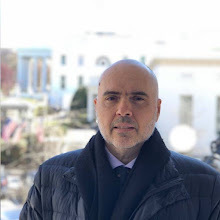 Eduardo Bertoni is the special rapporteur for freedom of expression, Inter American Commission on Human Rights, Organization of American States. © 2005 Herald.com and wire service sources. All Rights Reserved.